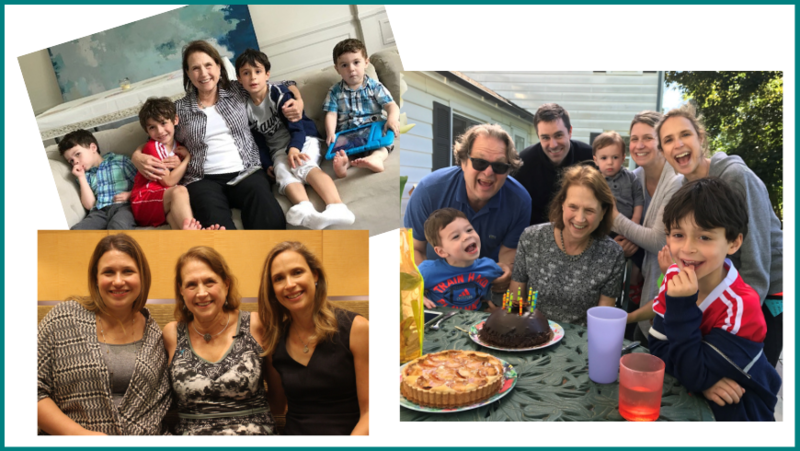 Born and raised in Manhattan, Donna Kramer-Cohen is a wife, mother, lover of the arts and a six-year ovarian cancer survivor. 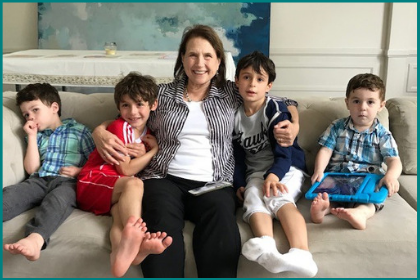 Since being declared NED (No Evidence of Disease) in May 2013, Donna has been using her experience to help other women battling ovarian cancer. She is a facilitator and educator for OCRA’s Survivors Teaching Students® (STS) program where ovarian cancer survivors educate future healthcare providers about the disease by sharing their own experiences. 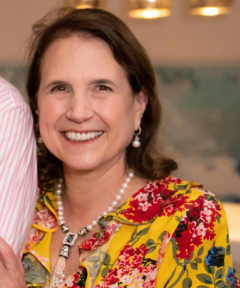 Donna serves on the Tina’s Wish Leadership Council, helping to spread the word about the need for early detection and is also a volunteer for SHARE’s ovarian cancer support helpline. Can you tell me about your cancer diagnosis? Did you have any symptoms? I was out of town in August 2012 and I started bleeding. Since I was post-menopausal, it didn’t make sense. I went to the emergency room, but they discharged me and told me to see my gynecologist in New York. I went to see my gynecologist and he said that sometimes the uterus gets thin and it cracks which causes bleeding. He instructed me to take birth control pills for three days and said they would be like fertilizer for my uterus to stop the bleeding. He also did a biopsy of the uterine lining to make sure it wasn’t uterine cancer. This doctor specifically said that one thing I did NOT have to worry about was ovarian cancer because there were no symptoms. I took the birth control pills for three days and the bleeding continued. Then he told me to take antibiotics for a week and the bleeding still didn’t stop. I decided to change doctors. The new gynecologist theorized that it was a uterine polyp that was causing the bleeding. First, she sent me to get a sonogram and a hysterosonogram but since I’ve had uterine fibroids my whole life it made it difficult to see anything. Then, she scheduled a D&C (Dilation and Curettage) procedure. However, the fibroids were blocking what she thought was a polyp. Finally, she suggested a hysterectomy. I had the surgery the next week, which was four weeks before my daughter Vanessa’s wedding. It was an interesting time – I was throwing a bridal shower one week after my surgery. Despite the hectic time, I was excited for the upcoming wedding and felt relieved that I was finally solving the problem and would be able to move past the mysterious bleeding. During the surgery, they discovered a tumor on my fallopian tube. It had also spread to the lymph nodes and the peritoneal tissue. I was stage 3c high-grade serous fallopian tube cancer. I opted for the most aggressive chemotherapy, which entailed a second surgery to implant a catheter to direct the drugs to the peritoneal cavity. After I got through that, I started treatment. I tolerated chemo very well according to the doctors and nurses. I remember the nurse saying, “you could be a poster child for chemo!” My mantra was “April 10th, April 10th” – that was my last scheduled day of chemo. Don’t get me wrong, the first few days after each chemo session were horrible, but then I felt better and could go to the theater and function normally. One month after completing chemo, I was declared NED. I was fortunate that I had my surgery done by a gynecologic oncologist which at the time I did not even know existed. Now I know how important it is to be seen by a specialist in this field. Do you have family history of ovarian or breast cancer? My cousin died at the age of 37 from ovarian cancer when I was 26. Many of my family members thought that it was breast cancer, but I confirmed it was ovarian cancer. I suspect that my paternal grandmother passed from ovarian cancer in 1929 at the age of 49. My father always talked about how she was so bloated. At that time, everyone assumed it was stomach cancer. Honestly, I don’t even think anyone knew what ovarian cancer was back then. My relatives never talked much about any of the premature deaths that happened within our family and sometimes there was inaccurate information being shared. As another example, my father passed away from colon cancer, but my mother always told people he died from his secondary diagnosis, liver cancer. I now know how important it is for families to discuss their medical history and to have an open and accurate line of communication that you can present to your doctor. When I had my post-op visit, my doctor tested me for the BRCA gene mutation*, and I learned that I have the BRCA2 mutation. My daughters also tested positive. What can women do who know they carry a genetic mutation that predisposes then to ovarian cancer? Consider having your fallopian tubes and/or ovaries removed. Research clinical trials being offered to high-risk women. As a result of meeting incredible doctors and researchers at Tina’s Wish, I recommended to my daughter Vanessa to proactively investigate her options to decrease her risk for developing this disease. 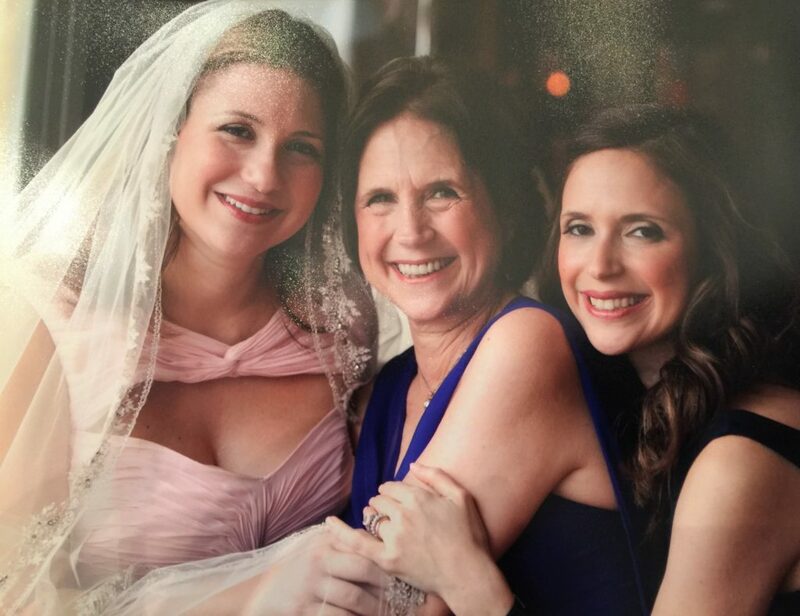 To her credit, Vanessa participated in the Women Choosing Surgical Prevention (WISP) Study at Memorial Sloan Kettering Cancer Center under the supervision of Dr. Kara Long Roche (a Tina’s Wish funded researcher). What is the biggest problem or challenge surrounding ovarian cancer in your opinion? The lack of an early detection continues to be the major challenge for ovarian cancer. Doctors need to be more educated about this disease. The first two gynecologists I saw told me not to worry at all about ovarian cancer because there were no symptoms. Many medical professionals don’t even consider ovarian cancer. This disease needs to be on their radar. By volunteering in the STS program, I hope to spare my own daughters and all women the fate of a misdiagnosis. The goal of this program is to put ovarian cancer on the radar of future medical professionals. How did your experience with ovarian cancer change your outlook on life? This experience taught me to be on top of my health, especially my gynecologic health. I was always concerned that I would get colon cancer because of my father’s history with the disease. I was diligent about scheduling colonoscopies. I thought that was my point of vulnerability. I never considered or worried about ovarian cancer. Since my cancer journey, I also try to give back as much as possible. I said to the oncologist once, “I can’t give $1mm to an organization, but I can give my time.” Sometimes, that’s more important. At the end of the day, I feel like I’ve received so much more than I’ve given. I’ve met so many women who are 15-20 year survivors and inspire me every day. It’s a gift to have met these amazing women. What advice do you give women battling this disease? I know a woman who is a 17-year survivor of stage 4 ovarian cancer, which is pretty amazing. It’s incredible that she is alive. You have to keep believing that you are going to get better. *BRCA gene mutations: BRCA1 and BRCA2 are human genes that produce tumor suppressor proteins. These proteins help repair damaged DNA and, therefore, play a role in ensuring the stability of each cell’s genetic material. When either of these genes is mutated, or altered, such that its protein product is not made or does not function correctly, DNA damage may not be repaired properly. As a result, cells are more likely to develop additional genetic alterations that can lead to cancer. A woman’s lifetime risk of developing breast and/or ovarian cancer is greatly increased if she inherits a harmful mutation in BRCA1 or BRCA2. (Source: National Cancer Institute).